Appearance: Medium copper with nice thick legs. Nose: Alcohol, caramel, oak, tan roux, sourdough starter, lavender. On the palate: Full bodied and slighly sour. Heat, cola, caramel, vanilla, yeast. Finish: Heat building into more heat. In the background some corn syrup, licorice, and a touch of wood. Parting words: This is officially a dusty now, meaning it is no longer being produced and is only available as old stock sitting on shelves. When it was released a few years ago it wasn’t met with much hoopla by the bourbon enthusiast community. 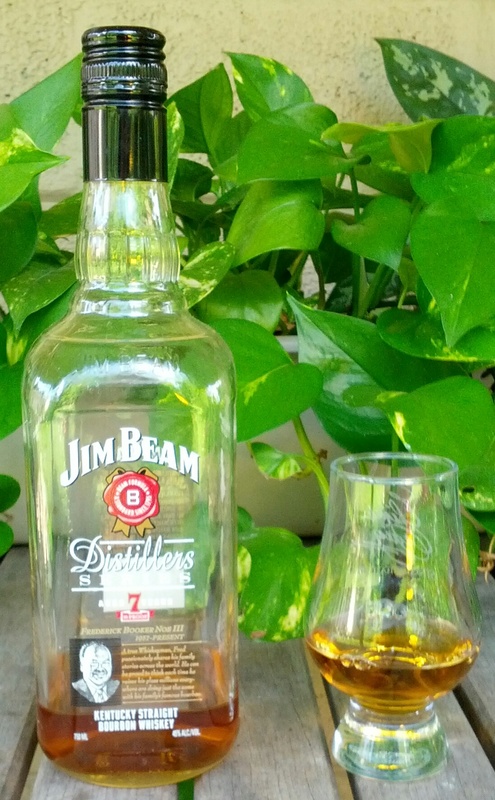 Jim Beam is not a popular line with many enthusiasts and there has been a seven year old version of the white label Jim Beam available in Kentucky for many years. So many were underwhelmed or simply ignored this bottle. One bourbon writer said the only reason to buy it would be for the fine picture of Fred Noe on the label, and he already has a few of those. I disagree. I think for what it is, Distillers Series is a fine bourbon. While the seven year old white label is bottled at 80 proof (and the eight year old black label at 86), DS was bottled at 90 proof and was available all over. To me, it tastes how the standard white label should taste. It’s not subtle or particularly complex, but it’s a good sipping bourbon for the beginning of the evening or while tending the grill or smoker. I think it’s worth seeking out if you enjoy that sort of thing. Jim Beam Distiller’s Series is recommended.